This is something for Cancer Reasearch, (purposely spelled wrong – ask about it) that I wrote early in 2008. My niece, Amanda Currie-Poirier of Giddy Up Pony Camp had won first in her division, the summer before. The division, “Dare To Wear Pink” was created and all the proceeds were sent to the cancer society for the purpose of research. It is the hearts and the desires of all the world to find a cure for cancer. Slowly, ever so slowly, mankind is making progress. Through the generous donations and volunteer work, cancer is being slowly pushed back, hopefully into oblivion within my time. 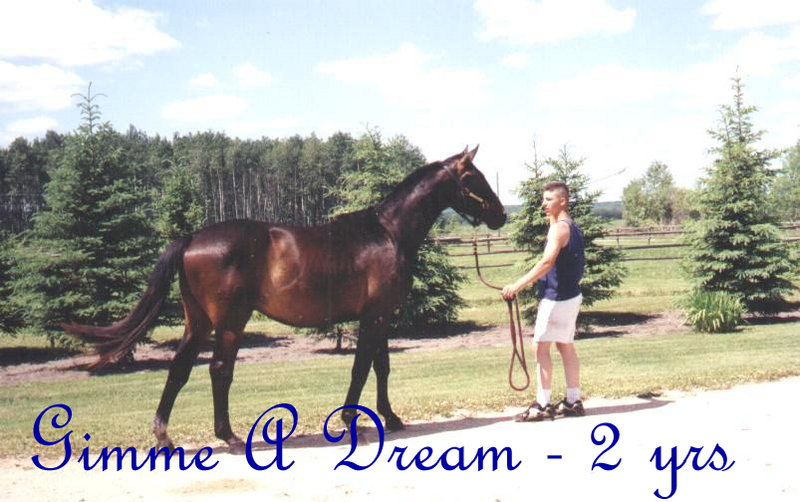 The Wings of Desire were a part of the Provincial Old Home Week Equestrian Competitions of Prince Edward Island. The competition, “Dare To Wear Pink” category, is run on several different levels. All the proceeds, entry costs for both the competitor and spectator go to breast cancer research. The western novice category last summer was won by my niece. She worked hard to find pink items to use and she wasn’t shy about wearing them either, even though she doesn’t like the color. Her horse, Casper’s Haunting You, is a grey, registered Quarterhorse and is not a stranger to the show ring, but my niece decided to enter him in the western pleasure, whereas he had always been shown in the English pleasure category. These are some pictures from the competition. My mother, my niece’s grandmother, succumb to breast cancer turned lung cancer, on October 30th, 1982. This “Dare To Wear Pink” is for her memory. My dad died with liver cancer, on January 6th, 1991. Both were young people. Giddy Up Pony Camp, A Place For Every Child! Giddy Up Pony Camp is an excellent adventure riding camp where young riders learn to ride and take care of a horse, learn English as a second language, spend the summer romping around the beaches and having a great time on Prince Edward Island, in Canada. They learn to have confidence in themselves. Riders ages 7-16 get to stay at the prestigeous 4 star B&B, Ar Dachaidh, in Orwell Cove or they can be day students, which ever best suits the child. On site instruction in English as a Second Language, with a qualified experienced teacher, is offered for those requesting the ESL package. Youth riders from France, Thailand and Japan have registered for fun filled camps in the past. They have joined young riders from PEI, Connecticut, Quebec and New Brunswick making friends for life. We strive to provide each and every young rider with a wonderful riding experience based upon mutual respect, safety and fun. Amanda has owned and operated the hugely popular Giddy Up Pony Camp since 2001. She had her first pony when she was two and has not stopped riding since. This energetic young woman comes from a family of experienced horse lovers on both sides of her family. Prior to opening her own business, Amanda has helped operate pony camps and taught lessons at Amberlea Meadows in Leduc, Alberta and at the prestigeous National Equestrian Center in Canberra, Australia and more recently she spent a year training and working with, Cindy Matheson, an FEI coach and owner of Tea Hill Stables in Tea Hill, PEI. Amanda is a competitor in both the English and Western arenas with numerous first and second place awards and ribbons to her credit.